Nice how fast is running on nexus 7? Something between 35 and 60 fps. 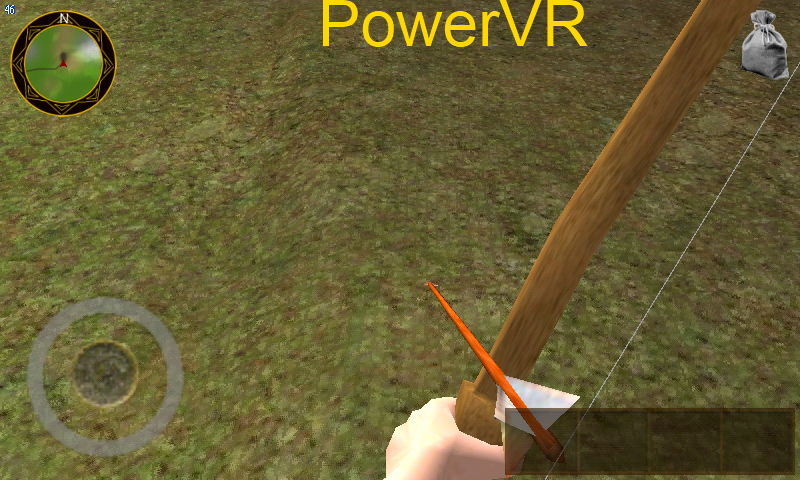 Have you ever tried the game on SGS3? Is running faster? No, i haven't. I've tried it on the Galaxy Note, which has the same 1280*800 resolution that the Nexus 7 has. 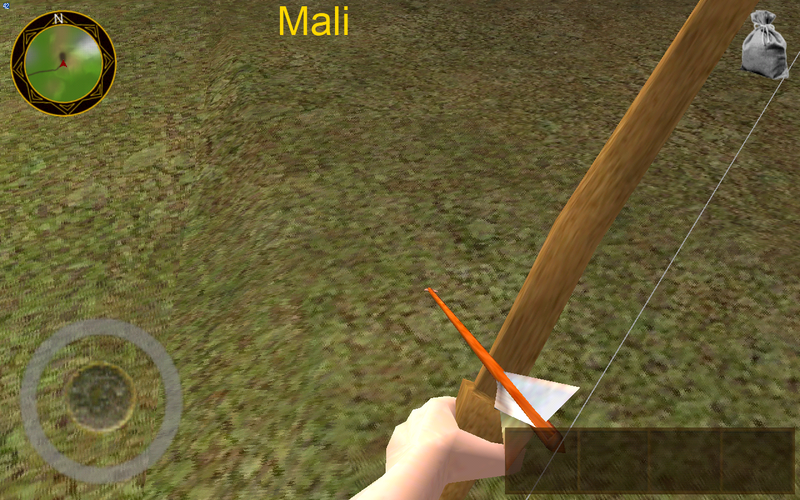 It runs a little faster on that Mali chipset (but keep in mind that the Nexus 7 uses cheap ram. 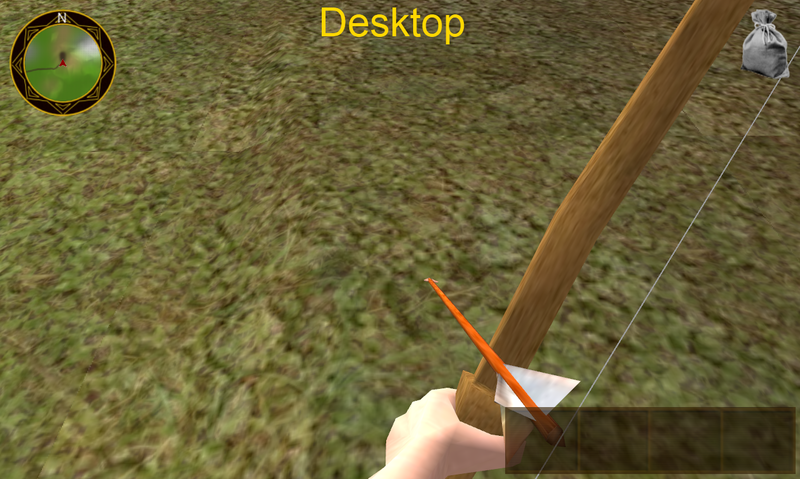 Other Tegra devices might be faster) and it even looks better because Tegra's texture accuracy is even lower than Mali's. It's more consistent in the way that it looks either good or bad on Tegra where the rendering quality is more unsteady on Mali, but i somehow like the Mali look better. In saying that, the Tegra 3 tablet I have seems to have a few distance related flicker glitches here and there so every device has it's strengths and weaknesses. I'm undecided if Tegra or Mali is better...or worse...they are both inaccurate (every mobile chip is inaccurate, but PowerVR is still superior). The fact that Mali can't handle complex calculations with float numbers larger than ~65500 is really tricky and Tegra's default depth buffer accuracy is laughable (as you have experienced yourself). That's because Tegra's depth buffer behaviour is crap by default. You have to use some extension to improve it. The latest jPCT-AE version has a class in util that helps to choose a config that should fix this in most cases. IMO the nVidia drivers are what sets it apart from ATI, they have always been superior. But if you use the 'correct' driver version, ATI cards are fine. I case you are wondering what i'm constantly talking about "accuracy", just have a look at this...it's roughly the same scene rendered on four different devices. 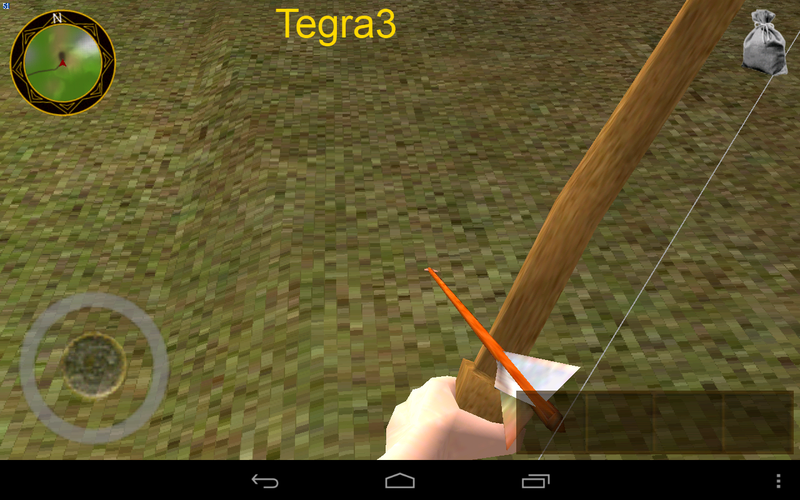 Oh, it looks really horrible on Tegra 3... Why is this happening? Is it fragment shader accuracy? No, it's texture/filtering accuracy. If you stretch a texture with little changes in u/v coordinates along a large polygon, it looks like this. I've added an ugly world map in addition to the mini-map. 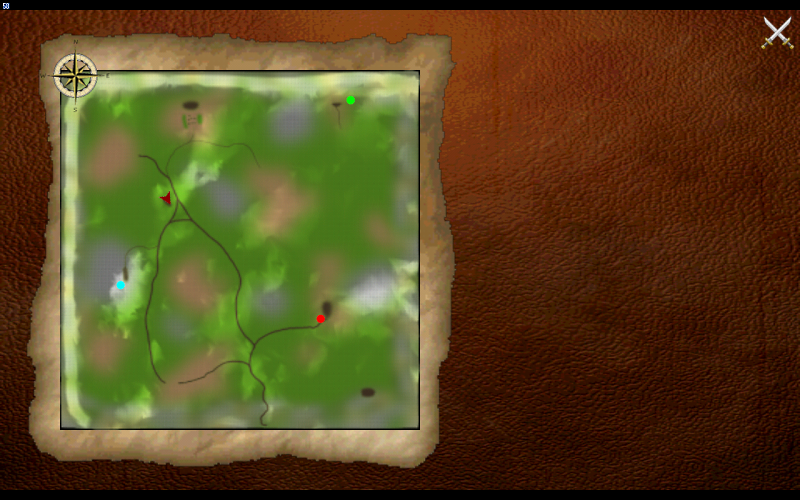 You can place up to 5 colored markers (similar to and in preparation of quest markers) on the map which will show up on the mini-map too to easy navigation. 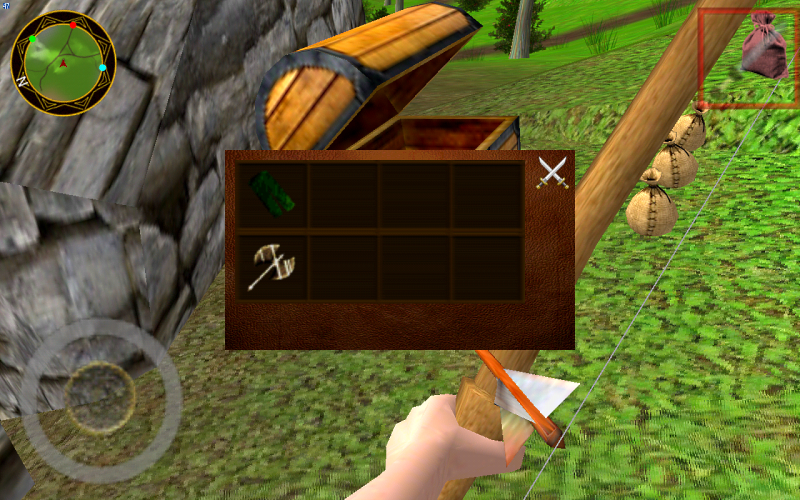 Chests now contain (totally random) items that can be dragged into your inventory or dropped onto the ground. I'll add stuff like a "take all" button later. Nice! the map is generated automatically or it is created by you? It's created by Terragen according to my settings, largely reduced in polygon count by using the method mentioned in the wiki and then fixed with some ingame editing which is available in the desktop version of the game. In addition, it's modified in code too by placing houses and fences and stuff, which all flatten the underlying terrain. The splatting texture has been drawn by me based on the height map created by Terragen. The geometry is more or less final, but the splatting texture isn't. It's missing a lot of additional locations, tracks etc. Edit: And about the view of the map ingame...it's a simple image created by a stand-alone program that renders the whole terrain from above at once.